The Moon is the star that rules our internal and external world. It is responsible for our emotions and how we express them to others in all relationships. If you know you have Moon in Sagittarius in your natal chart, let’s know more. Moon in Sagittarius is ruled by element fire (just as Aries and Leo) and the planet Jupiter. As Sagittarius is a mutable sign, the energy of the fire is very quick, making those people not get attached easily. They love freedom and dislike any type of control, including emotional. When someone who has Moon in Sagittarius feels, it is like a combustion. But they are not like Moon in Aries, which explodes and get irritated often. They usually have an open, comprehensive and very positive aura. Positivity may have to do with the fact that these people are very intrigued by esotericism and religion. They like to research and learn more about what we can not see, and to put all their faith in the process. Faith makes these people optimistic and can see the silver lining after the cloud. Moon in Sagittarius makes that kind of people who love to help. They extend that “feeling good” feel to everyone to whom they relate. They love giving advice and making you feel better. For them, a world where everyone smiles is a better place. It will probably be them who says “good morning” to all even before seven in the morning. Knowing how to pass on knowledge is an incredible quality of this Moon. They have the power of communication very high and could become great teachers. In the professional field, they would also do well in the area of ​​tourism, since they love to travel. Imagine working as a tour guide, passing everything you have studied and known to groups of several different people every day? That would be Moon in Sagittarius’ dream! The nature of these people is very dreamy and very similar to Pisces. They like to imagine an ideal, positive world and faithfully believe in it. Therefore, they have difficulty in realizing the real situation of things and often, tend to try to escape. Do you know when a soap slips and the more you try to catch it the more it runs away? This analogy applies to people who have this Moon when they are confronted with reality. At the slightest sign of a deeper commitment to their relationships, they feel their freedom threatened and retreat. Often generating even in a childish behavior. Constant good humor, playfulness, and lack of commitment to responsibility remind you of the characteristics of a child, right? Coupled with their inherent candor, people who have Moon in Sagittarius may even be recognized as the children of the Zodiacs. For both the good and the bad. Those who closely relate to him need patience to deal with this rebellious spirit. It also takes a lot of persistence to “tame” and make them to stay. If you can, remember to always keep an open and airy space. And we are talking about physical space, like a large, lighted house with windows, both for emotional space. In bed, these people continue to behave like children: curious, lively and very funny. Their sexuality also carries this vital fire energy. As they love new things, they will propose and accept experiencing everything that is different. Another quality of them in this sense is that they are able to relax even the most shy of Virgos. No one is immune to the joy of Moon in Sagittarius. 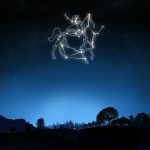 Sun in Sagittarius: what does it mean?